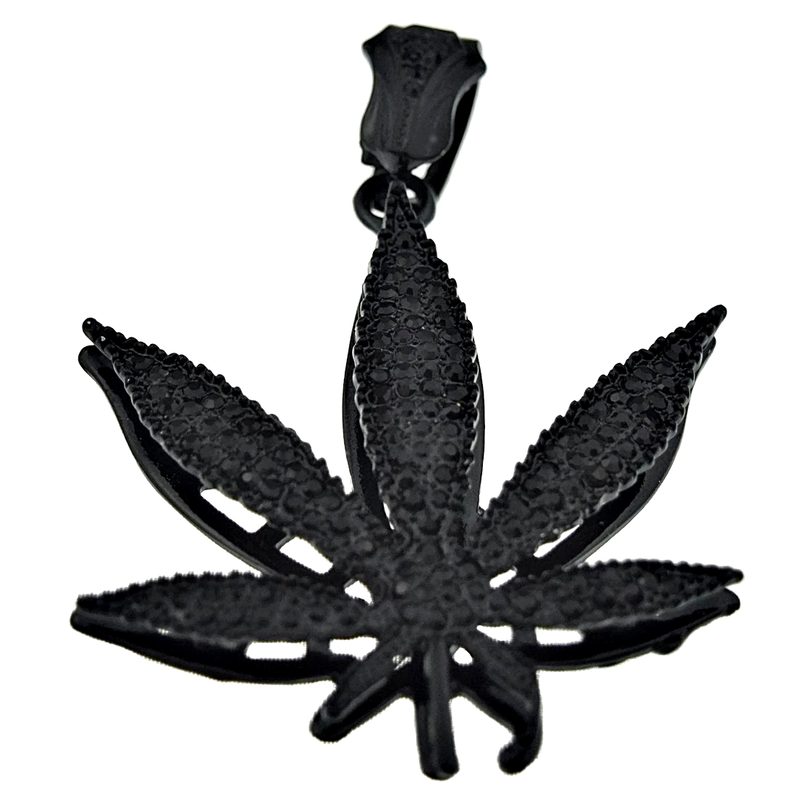 Stunning weed leaf shape hip hop pendant. 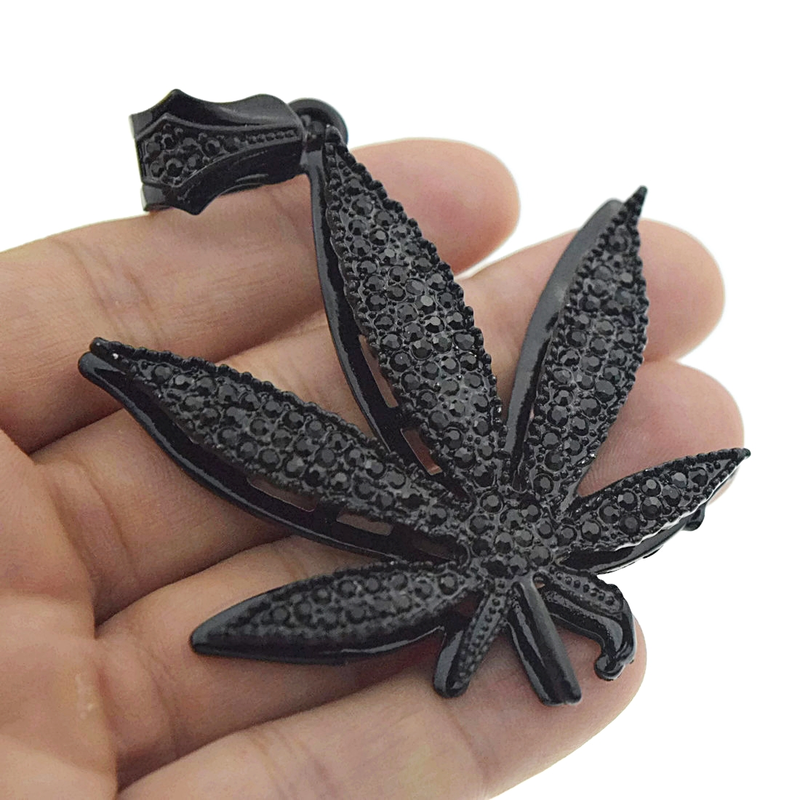 This chunky marijuana leaf pendant measures 71mm x 62mm. Beautiful all black finish over base metal. Bling pendant is iced-out with black stones. Detailed leaf has serrated jagged edges. Has some weight to it at 40 grams. 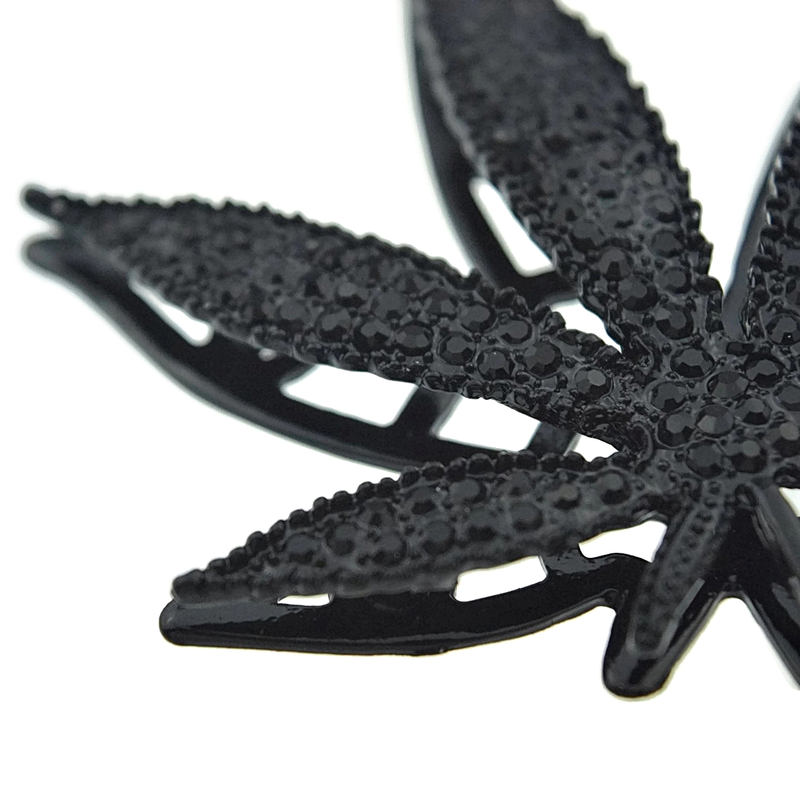 Wear with a necklace up to 8mm wide. 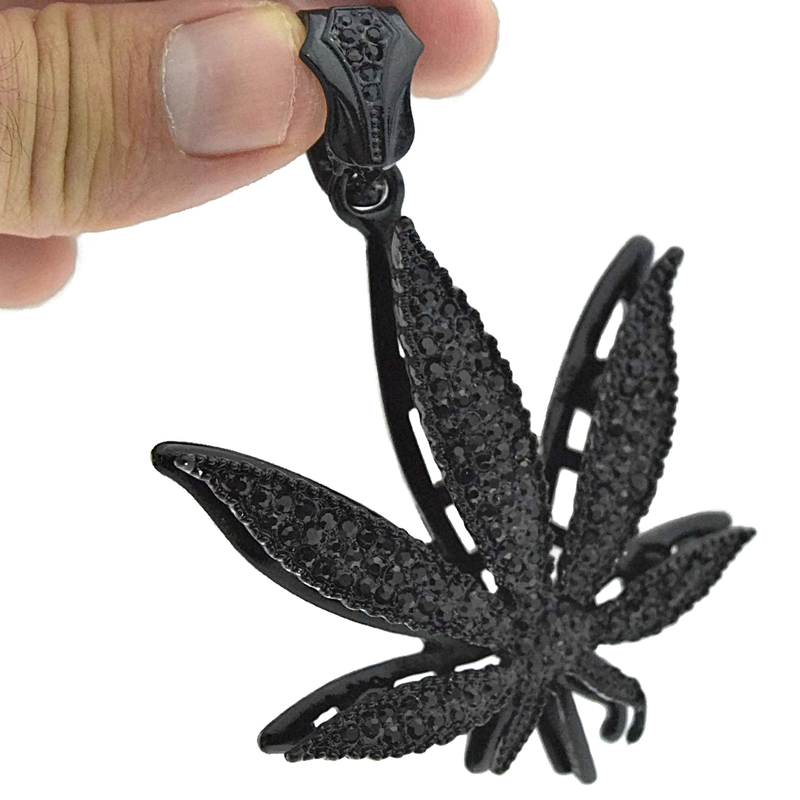 Black bling stones that shine bright.